The new taxes will be higher on upper earners. People with an average monthly income greater than $40m, will have an income tax rate of 35%, income greater than $50m will have a rate of 37% and greater than $105m will have a rate of 39%. The bill would reduce the corporate income tax rate from 33% to 30% and income from some activities would be subject to a corporate income tax rate of 10%. Another aspect of the bill allows for taxpayers to treat the taxes they pay as deductible expenses and they can use the turnover taxes to offset the corporate tax obligations. The new wealth (equity) tax has been set at a rate of 1% for the years 2019, 2020, and 2021, for Colombian-resident individuals' worldwide net-worth, and for non-resident individuals on Colombian assets only, such as real estate, yachts, artwork, boats, planes, etc, where the net equity of the taxpayer is at least COP5 billion ($1.5m). The tax does not cover shares in Colombian companies, accounts receivable from Colombian debtors, certain portfolio investments, or financial lease agreements. 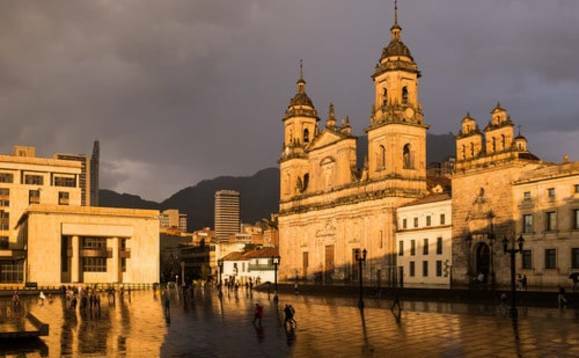 The tax base of a ‘permanent establishment' has been expanded to cover worldwide income, instead of Colombia-source only income, and expense deductions are allowed only under certain conditions.